Move over, Adirondack Thunder stars. For one night only, Glens Falls’ Cool Insuring Arena is hosting motorcyclists on ice—some of whom light themselves on fire before they rev up (see video below). 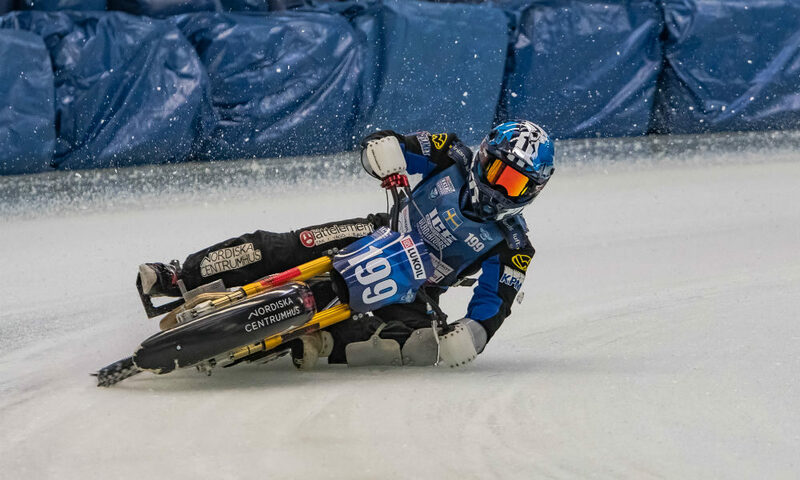 On Saturday, January 26 at 7pm, the World Championship ICE Racing Series will present its “2019 Fire on ICE Evolution Tour,” featuring some of the biggest names in professional motorcycle ICE racing (yes, that’s a thing). The Glens Falls tour stop will be the championship’s fourth round out of six, with professional ice-racing motorcyclists duking it out for a chance to take home the coveted 2019 World Championship ICE Racing title later in March (the motorcyclists can go from 0-60 mph in less than three seconds). Tickets are $20-$25 for adults and $10 for kids, plus fees prior to the day of the race, and $3 more on Saturday the 26th. To get tickets, click here, call 855-432-2849 or go to the Upstate Chevy Dealers Box Office at Cool Insuring Arena. For an additional $5, Evolution Tour spectators are also welcome to attend the Pre-Race Pit Party from 5:30-6pm, where they’ll be able to take photos with the riders, get autographs and cheer them on before they stop onto the ice.